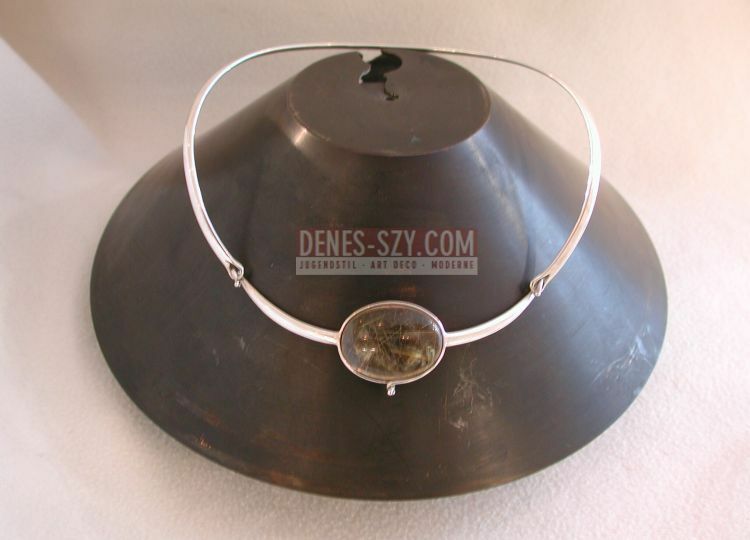 Sterling silver Neckring with stone smoke or rutil quartz Pendant. Designed by Vivianna Torun Buelow-Huebe (Swedish 1927-2004) worked also for the Georg Jensen Silversmithy. She has her own workshop in Sweden & France (Paris and Biot). Her jewellery is rare. Literatur: Museet pa Koldinghus: Karl Gustav Hansen Solv / Siolber 1930-1994. Kolding 1994.